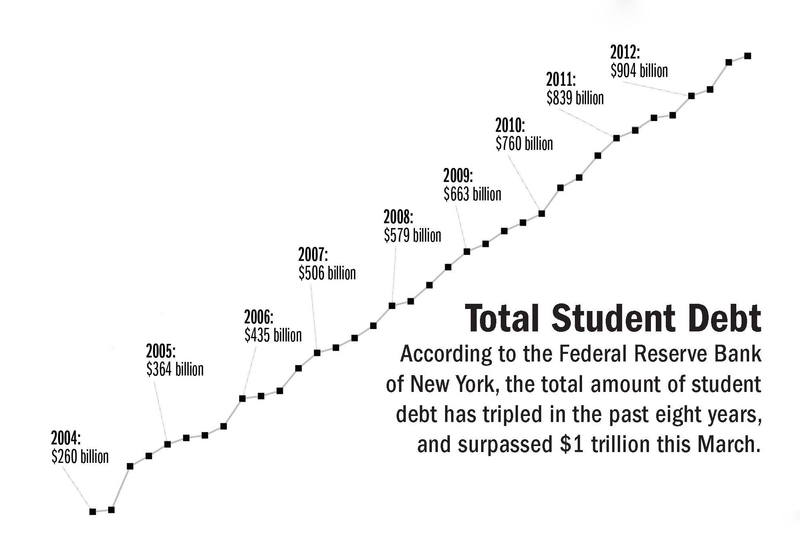 In the beginning of March, the student debt in America finally surpassed the long anticipated $1 trillion mark. To help ease the burden of debt that now cripples 37 million Americans, a new campaign called JoinStampede is looking for the support of 100,000 people with student debt loans to sign their petition. JoinStampede hopes to be able to approach private lenders with the combined support of each signature to negotiate a discount, rebate or modified interest rates for student debts. Mason alumnus Quincey Smith works for JoinStampede and said that the success of the campaign could potentially effect current Mason students with debt. “What JoinStampede does expect to do is create a consumer movement using political style campaigning on the basis that when people band together, their collective voice has the potential to change the dynamics of the marketplace, and that businesses will be forced to adapt or be left behind,” Smith said in an email. “We want to be in the same shoes as our members, this is a long-term interest,” Stephen Dash said, founder of JoinStampede. Students who seek out loans from private lenders must receive approval from the university certifying that they are full-time students. Smith credits irresponsible borrowing as one of the reasons student debt has skyrocketed recently. The venture is a personal financial risk for Dash and his co-founders, who will not collect a salary unless they are successful in their venture. Any money earned will come through a commission from the private lenders with no expense passed on to those who signed the petition. Dash has a long resume in financial services, including JP Morgan and Venture Capital. After spending the last few years following consumer movements in other parts of the world, Dash decided to attempt the concept in America. In the first week, over 22,000 people signed up as part of the campaign, which extends through April 4. At the time of publication 25,649 people had signed the pledge. All JoinStampede requires to sign the petition is a name and email address. The offer negotiated with the private lenders will be exclusively offered to those who signed the pledge. Dash anticipates negotiating with lenders for two weeks after the petition closes on April 4, with results returned to the consumers within six months. Long-term goals for JoinStampede include helping consumers in other ways by possibly negotiating similar deals with mortgage brokers. JoinStampede is active on social media and has a page on causes.com, a popular website for distributing campaigns and petitions.